"For better or worse, the ride had begun. And what a ride…" The Weinstein Company has debuted the first trailer for the film called Gold, the latest from screenwriter Stephen Gaghan, who also directs. 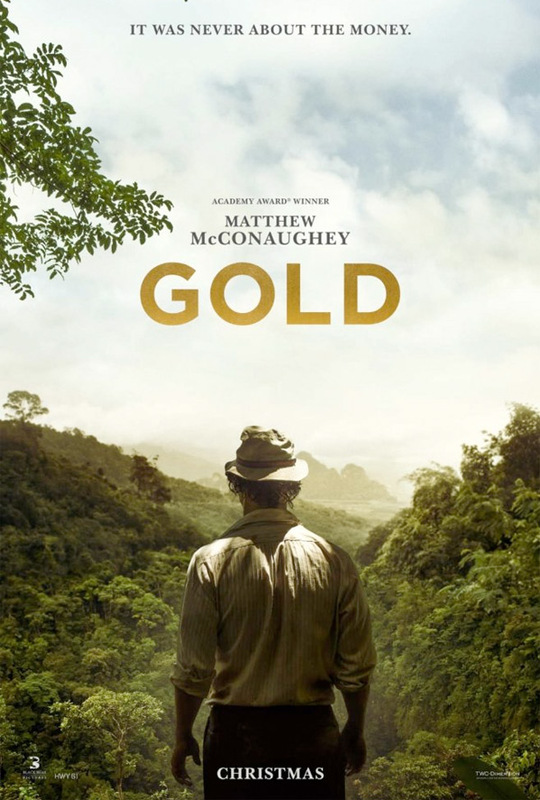 Gold stars Matthew McConaughey as Kenny Wells, and Édgar Ramírez as Michael Acosta, two businessmen who team up to search for gold in Indonesia. It's based on the 1993 Bre-X Mineral Corporation mining scandal, and almost feels like a Wolf of Wall Street sequel in a few ways. The cast includes Bryce Dallas Howard, Joshua Harto, Timothy Simons, Corey Stoll, Toby Kebbell, Bruce Greenwood, Bill Camp and Rachael Taylor. This looks solid, but there's a wacky side to it I wasn't expecting. It might be fun to watch. Looks quite fun! I dig Styx. I read about that scandal just now, all the people involved sound horrible. Bit like the Wolf of Wall Street. Horrible. But somehow entertaining. This looks great. Also Best bad hair ever! I'm going to see this, no doubt. But the trailer made it feel a little cheesy, I don't know. Maybe I'm wrong lol. This looks really good. Barring horrible reviews I'm in. "Matthew McConaughey like you've never seen him before: As a balding POS scumbag!" But this looks cool! I'm always up for a "based on a true story" where an underdog makes it to the top just to have it all stripped away. Feel good movie of the year! Merry Christmas everyone! Looks like the movie to go with Wolf of Wall Street and The Big Short on a movie day.